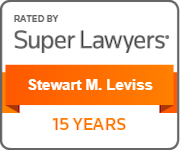 Stewart Leviss, a member of the Litigation practice, is certified by the Supreme Court of New Jersey as a Civil Trial Attorney. In his 20 years as a litigator, Stewart has achieved successful results for his clients in the state and federal courts. 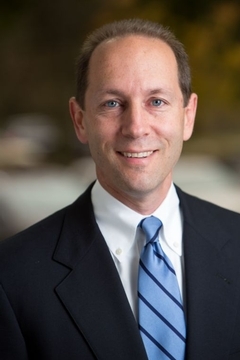 He has litigated a wide variety of claims, including professional malpractice, product defect and personal injury lawsuits, business torts and commercial litigation, and employment litigation (including sexual harassment and discrimination claims), as well as actions brought in the chancery courts. Stewart also has trial verdicts and settlements, ranging from the tens of thousands to many hundreds of thousands of dollars, for victims of slippery floors, sidewalks and parking lots; students bullied at schools run by negligent school administrators; people injured in car accidents; victims of abuse by members of religious clergy; and people injured when others fail to follow the rules of safety. Having both prosecuted and defended lawsuits in the trial courts, Stewart has a unique perspective, giving him the ability to develop an effective strategy for his clients, whether through litigation or other means of dispute resolution. After graduating from law school, Stewart served as a Judicial Intern with the Honorable Richard A. Levie of the Superior Court of the District of Columbia. Recognized for integrity by the New Jersey Office of Attorney Ethics, Stewart has been Chairman of the District VB Ethics Committee and a member of the District V Fee Arbitration Committee. 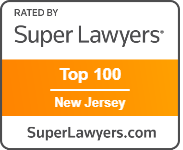 “Superlawyers” and “Rising Stars” are accolades conferred by Thomson Reuters. For the comparison standards employed by the various lawyer rating companies, please visit superlawyers.com, bestlawyers.com, avvo.com or martindale.com.